Here at Netball Scotland, we look to continuously improve our sport and strive for excellence in order to meet our vision of being the “first choice sport for women and girls in Scotland”. One of the ways we do this is by creating capable and confident coaches through our UKCC coaching courses. We are passionate about offering quality coaches which are delivered by professional tutors who will support you through your coaching journey. Further, generic coaching CPD is available through sportscotland. There is also a coaching app available from sportscotland that is compatible for Android and Apply and can be downloaded from here. The links below will provide you with more information about the courses we offer. The UKCC Level 1 course is the first step on the coaching pathway. Perfect for those over 16 years old who have a sound knowledge and experience of the game of netball and an understanding of the rules. This course is for those who are assisting a UKCC Level 2 Qualified Coach. When you successfully complete your course, you will be able to assist qualified Lead coaches, delivering aspects of coaching sessions, normally under direct supervision. All resources for courses are available online and once you have signed up you will receive access to these 1 week prior to course start date. Please bring your own lunch as canteen facilities aren’t always available. Minimum Age 16: this is non negotiable as qualified coaches have a duty of care to players. Funding: SportsScotland provide funding for participates undertaking UKCC awards. Application for funding can be found here: UKCC sportscotland subsidy applicationApplications must be submitted 4 weeks prior to course start date. Time: 9.15am to 5pm both days. Perfect for those who have been an active coach in Netball for a minimum of 2 years, or have a Level 1 Certificate in Coaching Netball. After you are qualified you will be able to prepare for, deliver as a lead coach and review coaching session(s). This will normally be a series of 6-10 coaching sessions in any one sequence. All resources for courses are available online and once signed up you will receive access to these 1 week prior to course start date. You must wear suitable clothing on both days, with appropriate footwear for activity. You must bring your own lunch as canteen facilities are not always available. Minimum Age 18: The UKCC Level 2 qualification is a Head Coach qualification, therefore candidates are responsible for the safety and welfare of participants in their coaching sessions. First Aid & Safeguarding: To complete the UKCC Level 2 qualification candidates must provide valid certificates for first aid training and safeguarding training. sportscotland provide safeguarding and first aid courses which can be found here. If you have already undertaken a safeguarding course, renewal courses are available and can be found here. Alternatively, your Local Authority Sports Development Department may also provide courses local to you. Funding: sportscotland provide funding for participates undertaking UKCC awards. Applications must be submitted 4 weeks prior to course start date. Application for funding can be found here: UKCC sportscotland subsidy application. Are you open to new ideas? Are you prepared to commit time and effort to developing your coaching practice? Are you coaching in a club or with a team, leading regular training sessions and coaching the same squad through a competitive cycle? Are you looking to challenge yourself to be the best coach you can be? Qualifications are an important part of coach development and for some, taking the Level 3 qualification is a great next step in your coaching journey. The NS Level 3 runs over three weekends, with a series of take home tasks for completion. Once all tasks have been completed, an independent coaching assessment will be undertaken. In February 2018, we concluded the first ever NS Level 3 Course, and a further course will become available in 2019. 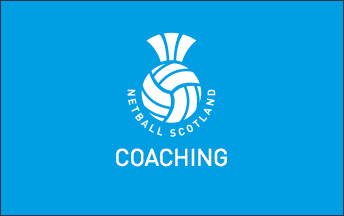 Netball Scotland is thankful for the continued support for our courses, which is greatly appreciated and much needed as our sport continues to develop and grow, and the demand for education continues. This award is for S5/S6 School Pupils that is supporting primary school festivals and Fun 5z. Understand the different fundamentals delivered at the early stages. This award is for those who are coaching grass roots and/or Fun 5z Netball.